Today in 1857, former slave William Hall was awarded the Victoria Cross for bravery for his actions during the Relief of Lucknow, India during an attempt by mutineers to overthrow British Rule. 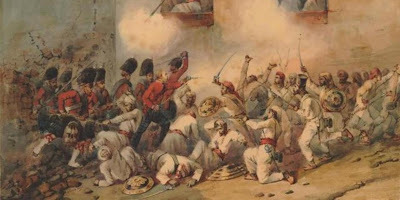 His ship, The HMS Shannon, despite the destruction on board, fired it's cannon until the only one remained, that of William Hall and Lieutenant Thomas Young. Captain Peel recommended William Hall and Thomas Young for the Victoria Cross, in recognition of their “gallant conduct at a twenty-four-pounder gun... at Lucknow on the 16th November 1857”. 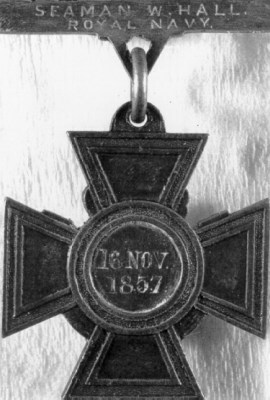 Hall received his Victoria Cross aboard HMS Donegal in Queenstown Harbour, Ireland, on October 28, 1859. 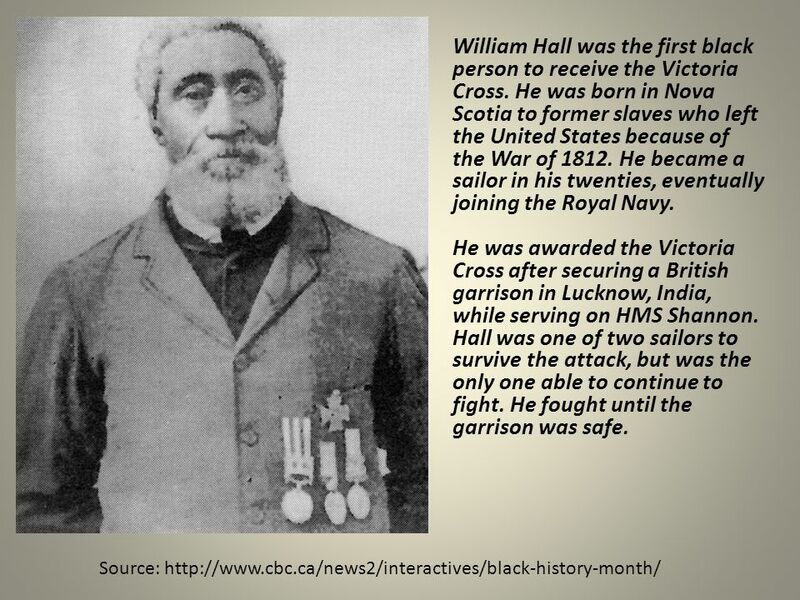 His Victoria Cross was the first one ever awarded to a black man, a sailor and a Nova Scotian. He was the third Canadian to be awarded the honour.